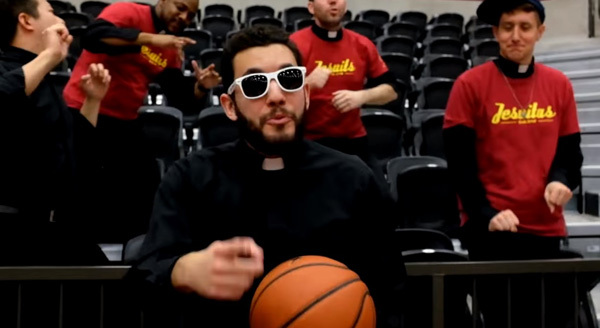 A video of young Jesuits playing rap music and making monkeyshines with a basketball was used to a support a scholarship fund for undocumented students seeking to study in one of the schools of Loyola University of Chicago. This initiative is called Jesuit Jam. In parallel, Jesuit Jam aims to "promote the Jesuit mission," to encourage Loyola's basketball team – The Ramblers – and to benefit other social causes. In a supposedly jovial style, this video shows that the apostasy of the Jesuit Order does not show any symptom of diminishing. On the contrary, we cannot see how, should this orientation of the students continue, anything good can come from it in the near future. Who Taught the WYD Bishops to Rock'n Roll?